Group run is fun when you are running with a group of great people and there is no competitive element, no time pressure, no stress and no need to worry about being named and shamed for taking short cut ahem... diverted route. So after a long absence of group run in 2014, I ended 2014 with a group run and started 2015 with another group run. 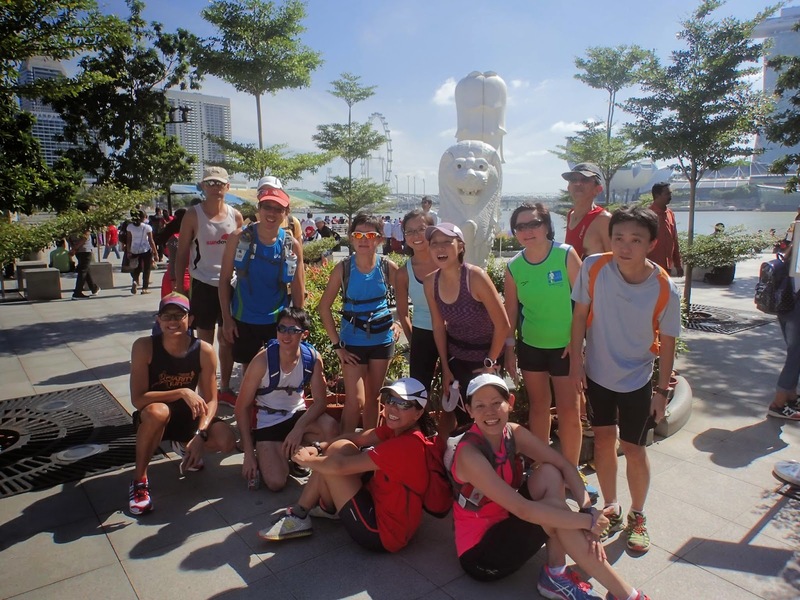 This time round as a sort of informal and unofficial SG50 event, a group of us decided to run to the five official Merlion. We started at the Seah Im carpark at Telok Blangah and went to the first Merlion on our list at Sentosa. But enroute, we found another Merlion. A multi-colored Merlion in fact. From Sentosa it was on to our next destination at Mt Faber. Unfortunately not by cable car though. We had to run there up the 100 metres or so "high" hill. Poor me legs. 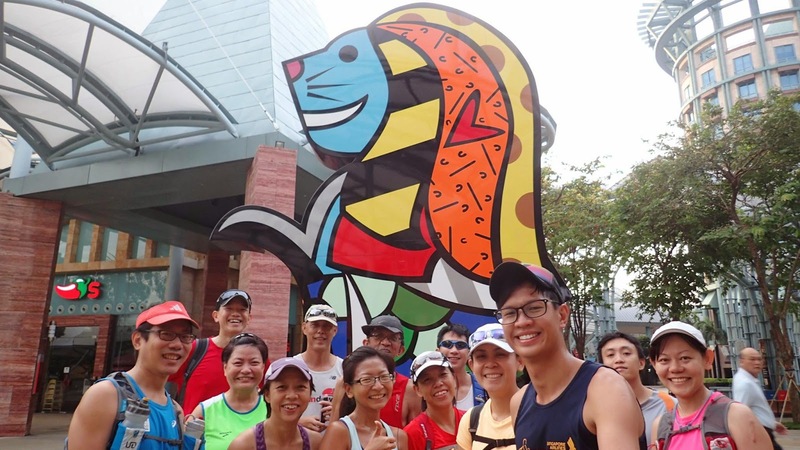 Fortunately it was all downhill from here although our very fierce leader made us run from here all the way to Orchard Rd where we sneaked into the Tourism Board office for this group photo with the very malnourished looking Merlion. We also discovered there are actually more than 1 Merlion here. But we have to move on to the last 2 Merlions. The anak Merlion and Papa Merlion in the background. Group run can be real fun and there always one going on organised by one group or another. For those just starting out running, this is a great way to get started on running, make new friends and get tips and see places. So if you are free, look out for such events on FB and why not join one?